It's WAY too risky...isn't it? Sharing our faith. Actually opening up about the love Jesus shows us...with a friend, family member, coworker, or neighbor...Sharing that could mess things up way too much...right? 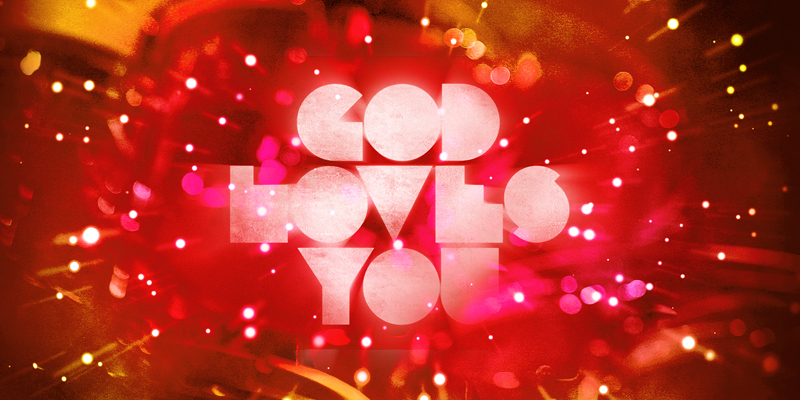 At the end of the day...GOD LOVES US, AND IT'S UP TO US TO TELL OTHERS THAT GOD LOVES THEM. But at what cost? Is sharing that message really worth the price. Well let's take a second and look at the reasons why so many of us don't...why we feel it's too risky Then maybe we can figure out if it's truly worth it...or not. See, the real question is not what they will think about you if you do bring it up. The real question is what will they think about you...if you don't. REASON #2: I DON'T KNOW THEM ALL THAT WELL. It's tough to bring up things of a serious nature with those you are nothing more than an acquaintance with. Maybe it's that co-worker you see in the break room, or maybe the neighbor, you wave to while walking your dog. Talking about "faith" with someone like this just seems a little awkward, doesn't it? Now think about it, if you were standing on a street corner, and a stranger unknowingly starts to step out in front of a bus, would you honestly say "well, I would say something, but I don't know them all that well so..." NO! It doesn't matter how well you know a person, when they are headed down a road of destruction, you have a moral obligation to say or do something! Now don't get me wrong, I'm definitely not advocating preaching the entirety of orthodoxy to someone you barely know, but as Christ followers, no one is too obscure to throw a simple invite their way. NOBODY. But here's a life lesson on friendship to keep in mind: A SELFISH friend is concerned about the well being of the friendship, a TRUE friend is concerned about the well being of the friend. Nothing could be better for your friend than for them to find the hope, and peace that knowing Christ can bring. And honestly, if you care more about the friendship than you do about what's best for them, it it really a friendship worth having? In western culture, we've become far too concerned with offenses regarding faith. Look, here's something we have to keep in mind. EVERYBODY who becomes a follower of Christ comes from a DIFFERENT faith, even if it's a faith in a non-faith, like science. REASON #5: I MIGHT GET REJECTED, AND I DON'T DEAL WITH THAT WELL. This is understandable. But we must keep things in perspective. Jesus Christ, the Son of the living God, the only perfect man to have ever lived...was rejected. Rejected by his friends, his religious leaders, his family, even his own heavenly father...for OUR sake, so that we might have the life we were always meant to have. If Jesus himself was willing to be rejected on our behalf, surely we could be willing to face rejection, on behalf of those we know and love. So...it it really worth the risk? Well, yeah, I guess it is. I guess there's really nothing else on the planet more worth our risk, than furthering the Gospel of Jesus Christ, by sharing it with those God has brought closest to us. To Sing, Or Not To Sing? What Are Your Goals (For Fun)? I DO Believe The World Will End In 2012!